This past week my trusty LinkSys router decided to finally die because it stopped sharing Internet connections although was well enough to still act as a LAN. No amount of rebooting and praying would bring it back to life. Well, at least now I can upgrade to newer hardware and get the Gigabit router that I’ve always wanted. 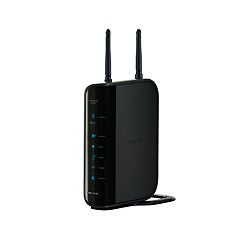 My closest store is BestBuy and so I bought a Gigabit LinkSys router with support for 802.11N. Within a few minutes out of the box I was up and running, this time with WPA2 as my security instead of the old WEP choices. Happy ending. My brother asked for help at his place in Portland so I tried in vain to get his Belkin WiFi N router to let his two laptops connect. After two hours of trial and error I finally discovered that I could manually define my security with HEX digits, so that finally worked. I did write a letter to Belkin customer support pointing out how their “new and simplified installation” didn’t match my experience. I have every plan to continue buying LinkSys (Cisco) brands in the future and no plans to buy Belkin products. Your mileage may vary.